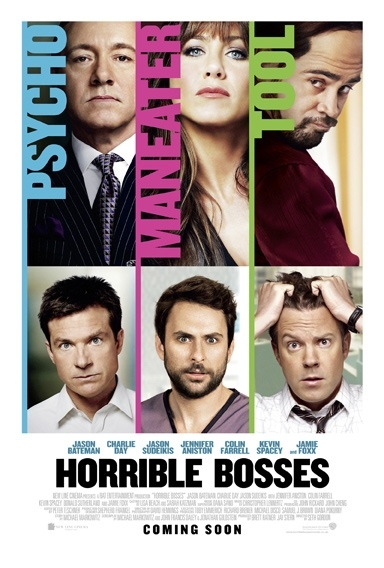 HORRIBLE BOSSES coming to you soon! - Hello! Welcome to my blog! 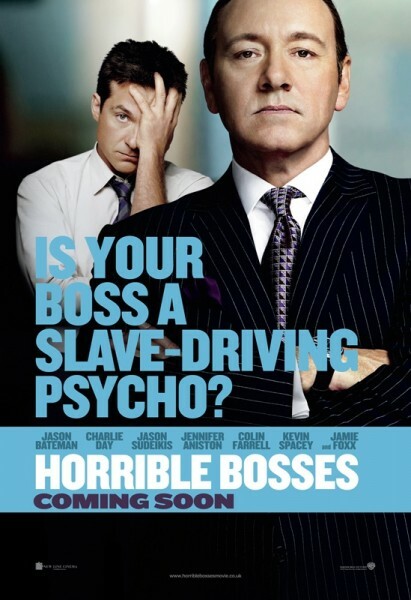 I know that we all have our own share of Horrible Bosses and this maybe movie you can probably relate to. The movie boasts an outstanding cast featuring Jason Bateman, Charlie Day, Jason Sudiekis, Kevin Spacey, Jennifer Aniston, Colin Farrell, and Jamie Foxx. For Nick (Bateman), Kurt (Sudeikis) and Dale (Day), the only thing that would make the daily grind more tolerable would be to grind their intolerable bosses (Spacey, Farrell, Aniston) into dust. Quitting is not an option, so, with the benefit of a few-too-many drinks and some dubious advice from a hustling ex-con (Foxx), the three friends devise a convoluted and seemingly foolproof plan to rid themselves of their respective employers…permanently. There’s only one problem: even the best laid plans are only as foolproof as the brains behind them. Hit the Jump to check out the trailer and other posters. The movie opens on July 8. Check out the Funny Trailer here/below. 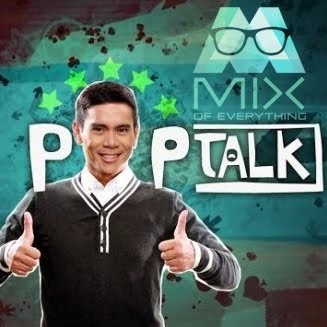 Movie fan Mix signing out!